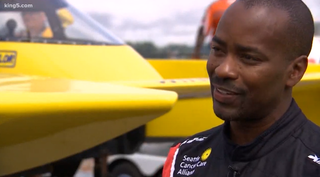 Over the years we have posted our thoughts on this topic to no avail so with the 2019 season on the horizon lets hope that in the near future sooner than later we will start to see more minority participation in powerboat racing. For starters, sanctioning bodies should explore drive for diversity programs similar to programs used in Nascar to attract both male and female minorities into the world of racing. This would at least be a step in the right direction. Brent Hall is back in the hydro cockpit after a cancer diagnosis six months ago.